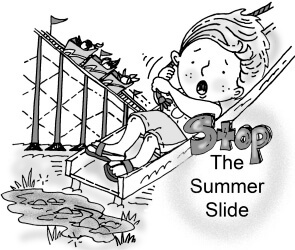 Free Learning Workbooks to Stop the Summer Slide! We provide the free materials. Can you help your child just 10 minutes a day this summer? 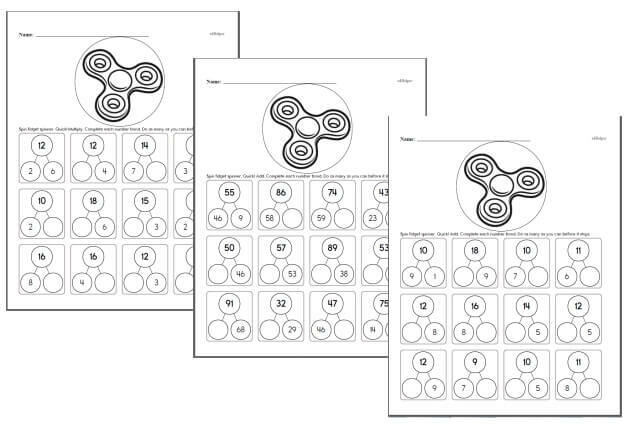 These books are not your average summer skill review activity workbooks. They engage and challenge kids. Tested on real kids! 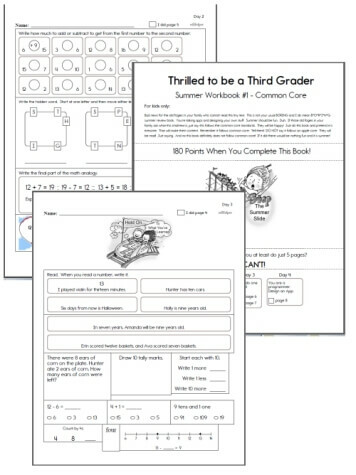 Why use these summer learning workbooks? Summer break is almost here. It's the season of pool parties, beach days, backyard bonfires, and countless hours spent playing outside with friends. But did you know that while our children are actively making memories over the summer, they are also actively losing knowledge gained throughout the school year? 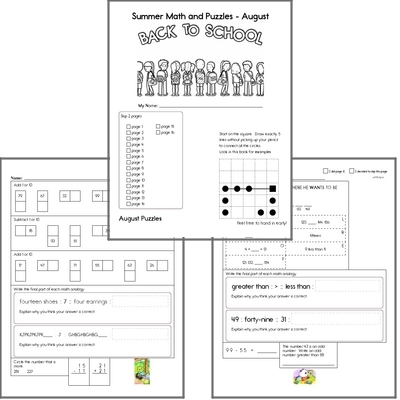 Summer learning loss is the loss of academic skills over the course of summer vacation. 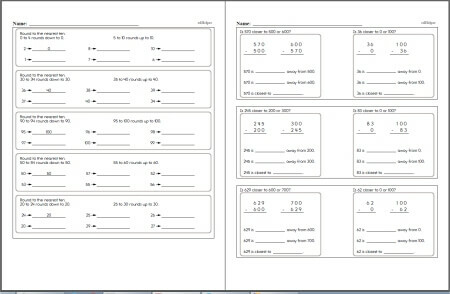 The average student loses two months of math skills during summer break. They regress in their reading level as well. By the end of sixth grade, students who have experienced summer learning loss consistently are, on average, two years behind their peers in reading abilities. The good news is that summer learning loss is preventable. 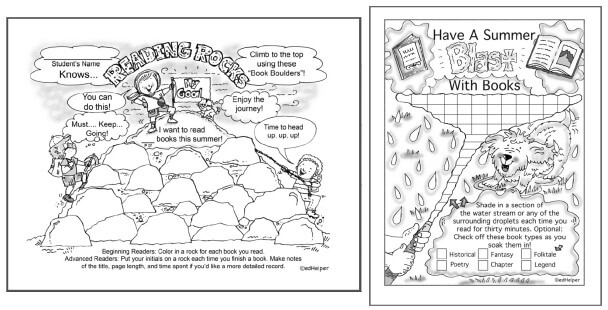 Our new summer slide books are filled with creative and engaging activities that can keep young minds active in as little as 10-15 minutes per day. 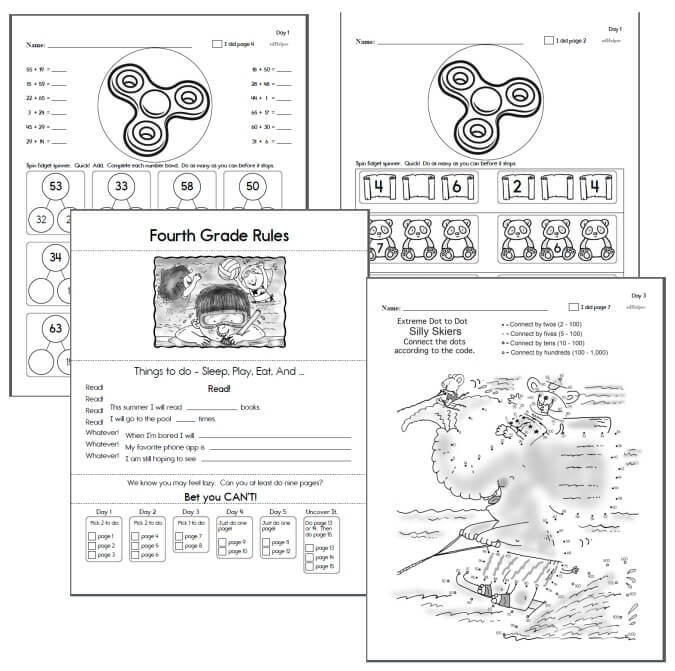 That still leaves plenty of time for the pool or the park, but watch out, these grade level appropriate books are so fun, your child may just want to skip the swim session and keep learning! 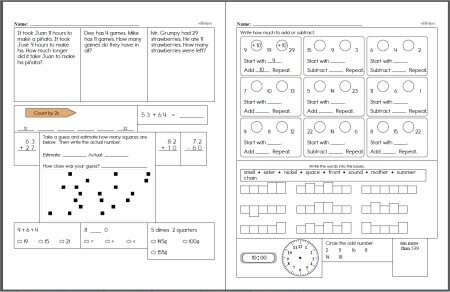 Did we mention these workbooks are kid approved, engaging, and free? Proven to prepare kids for Back to School. 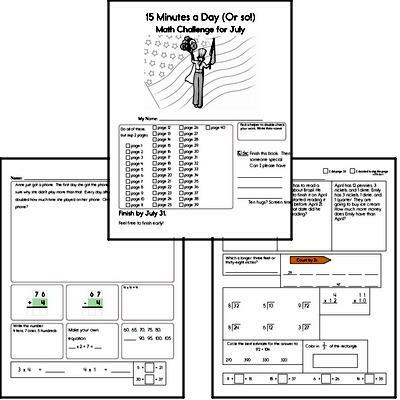 Prevent the summer slide with 15 minutes a day of math reinforcement that kids will enjoy! 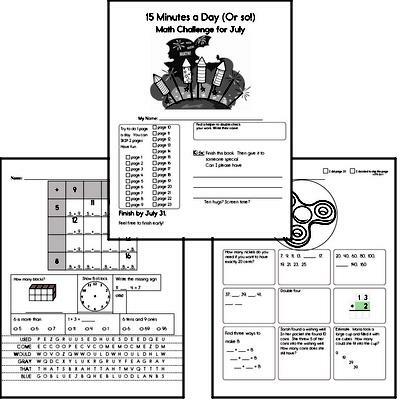 July Math Learning Workbook #1 - Kids do 15 minutes a day in July to reinforce their math skills and prepare for the new school year. 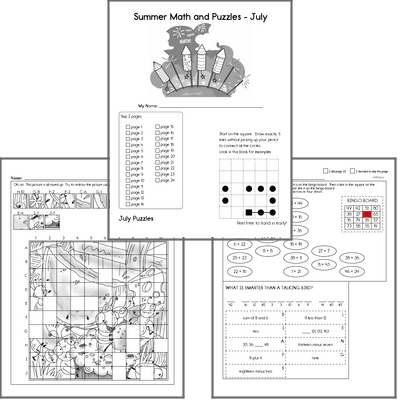 Puzzles with math, spelling, language arts, and critical thinking that kids will enjoy and have fun working on.